Many of us are very familiar using the latest gadgets and gizmos. But when they are not useful, we think of replacing it with the latest one. We don’t even think of the older one. Chances are excellent that, if you are reading this, you are using some sort of electronic device to do so. And if you are, then you are also most likely one of the billions of people contributing to the ecological, earth-damaging disaster that is electronic waste - "e-waste," for short - because sooner or later, the device you are using, be it a personal computer, tablet, laptop, cell phone or other piece of technology, will end up in a landfill or dump somewhere or, worse, in an open-air burn pit in some developing country if you don’t think of recycling it. Each and every technology has its own advantages and disadvantages. 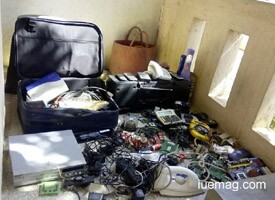 But, e-waste is the common disadvantage in electronics and electrical technology. Many do know about the ill effects caused by the toxic substances which are involved in eWastes. Yet, they do not take proper measures. The reason behind this is the lack of knowledge of e-waste recycling techniques. E-waste is growing exponentially simply because the markets in which these products are produced are also growing rapidly as many parts of the world cross over to the other side of the ‘Digital Divide’. 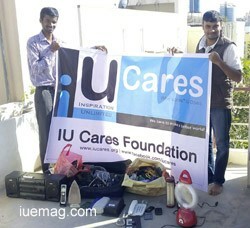 We, at E4U (Environment for You – Founded by Ms. Kavyashree MR) create awareness about the e-Recycling techniques among the citizens of India. The project also promotes on how we can Recycle/Reuse the e-waste. Here is a Description on how we achieved doing it. We started spreading awareness about the ill-effects caused by e-Waste in 4 districts of Karnataka (Bangalore, Shimoga, Chitradurga and Udupi) and ended up impacting 3757 Students in just a span of 2 days. We also started collecting eWaste from college students, electronics industries and friends and we were successful in pooling up 25 KG of e-waste. The pooled in eWastes will be given to e-Recycling units to recycle. The amount which we will be getting will be invested on gifting educational materials to the children who can’t afford and for those who are in orphanages. By this, we promoted on how eWaste can be recycled and how it can help others without polluting our environment.